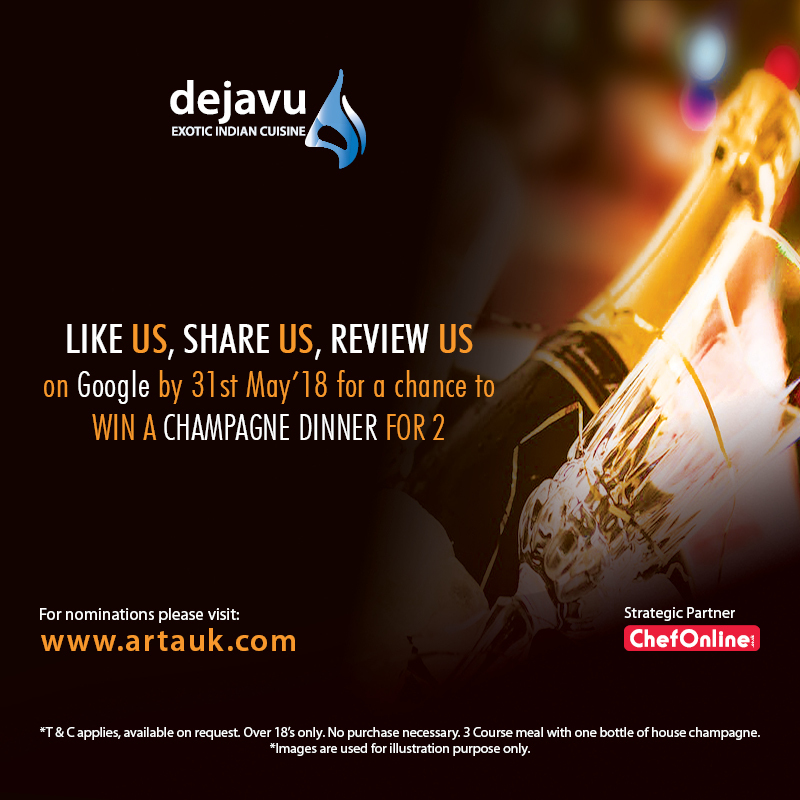 De Ja Vu is a well-known Indian restaurant and takeaway located in 19 High Street, Cheshunt serving creative Bangladeshi, Indian dishes made only using the finest freshest healthiest ingredients, delivered right to your door. We take care of our consumers and provide unique menu with food made with healthy raw materials which will bring water to your mouth every time you dine with us. Relax in our new modern, contemporary wine and lounge bar We have friendly staffs who provide flawless service to make De Ja Vu an experience second to none. Nominations are now open and we look forward to your participations. The more nominations we get, then the better chance we have making it to the next phase which is the regional Cook-Off events and hopefully the Grand Finale after. We sincerely appreciate your support and nominations! 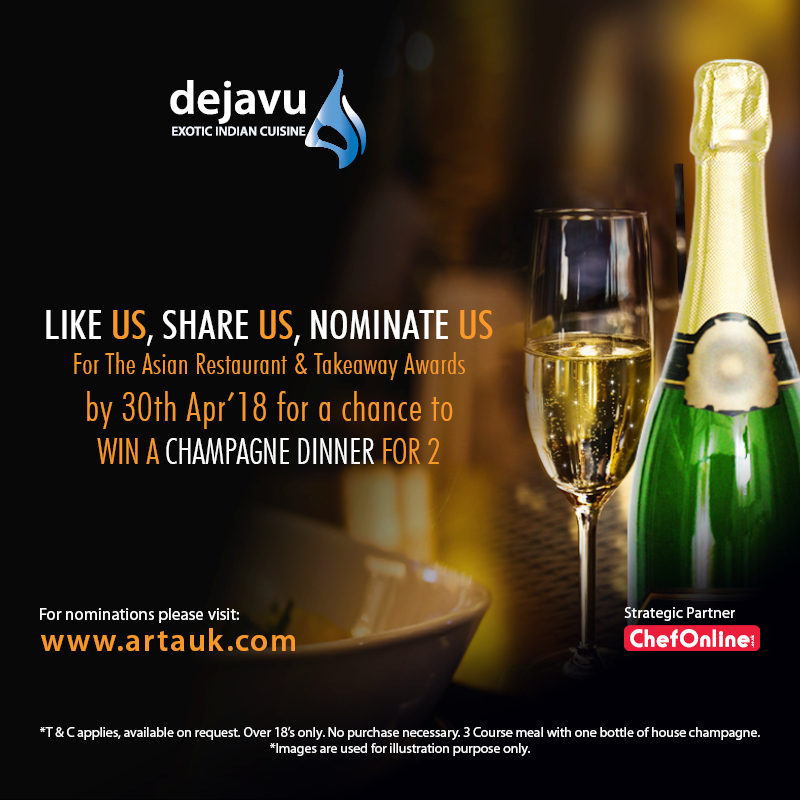 As a thank you, we are offering chance to win a Dinner For Two every month, for the next four months. Keep an eye on our Facebook page for more details regarding our offers. 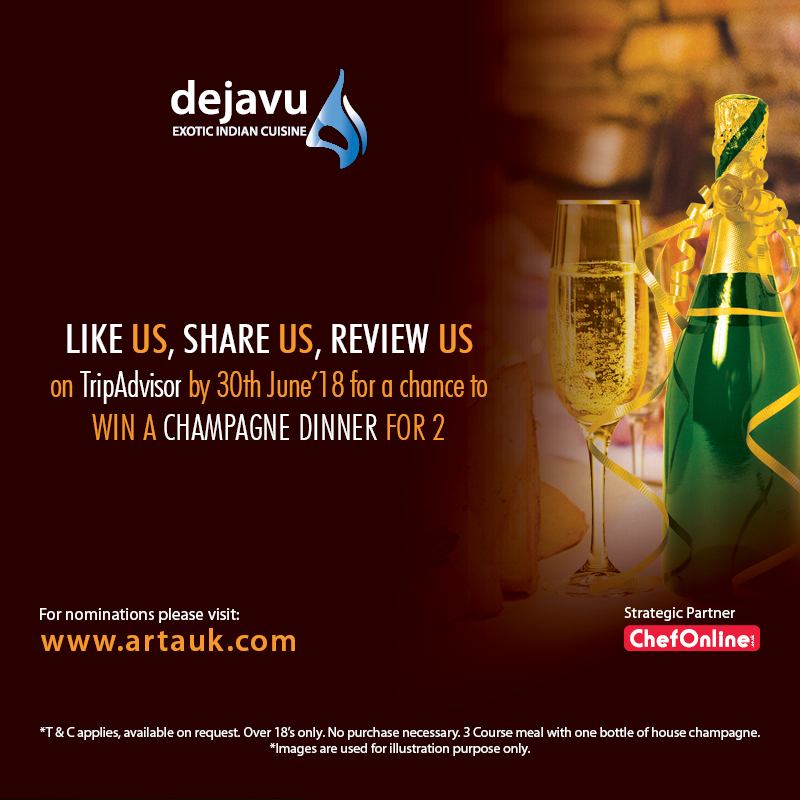 By nominating De Ja Vu, you will automatically enter ARTA 2018 Grand Prize Draw in addition to all our monthly prize draw.